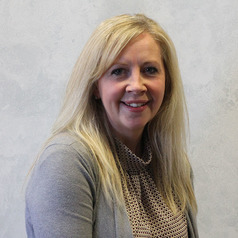 Having obtained a BA(Hons) in International Policy and Administration, Michaela began her career as a Police Officer with Lancashire Constabulary. Following 20 years service, she then joined University of Central Lancashire as a Lecturer . Michaela worked in the police initially within the uniform sector, but she then went onto serve as a Detective more specifically on the Counter Terrorism Branch within the Ports Unit. Following a number of years in this area, Michaela then went onto work in the Public Protection Unit, specialising as a Domestic Violence Investigator. Michaela has a specialist background in Counter Terrorism, particularly in aviation security. She also worked as a detective within the Public Protection Unit as a domestic violence investigator and has knowledge and experience in interviewing vulnerable witnesses. Michaela has previously taught on the Foundation Degree in Policing course, and now lectures on the BSc Police and Criminal Investigation courses and more specifically on the BSc Airport Security Management at the Preston Campus. Having had a practical working knowledge of aviation security and particularly in the areas of the threat from terrorism in airports, Michaela now teaches in these areas and how potential threats may affect the security within airports. Alongside her teaching, she is also studying for a Professional Doctorate in Criminal Justice, conducting research around the change in vulnerabilities from terrorism in aviation.